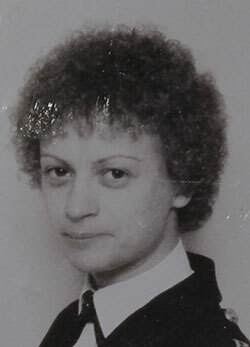 I joined the force in 1976 when female officers were known as Women Police Constables (WPCs). It was a completely different era Life on Mars was quite accurate. Although WPCs were allowed on section, which was a fairly new way of working, we were still tasked with dealing with ‘women’s issues’, which involved dealing with any female or child victims. There were very few women in the force, in fact it was a rarity to have one on each section and when I joined I was the only woman on my intake. WPCs had to wear skirts; there were no trousers, a box style hat, double breasted jacket and a cape, which didn’t keep you warm or dry at all. It was quite different from the heavy kit officers have to carry around today. Female officers were also given a long handled handbag to carry their small custom made truncheons. I remember it being said ‘it would probably be best to keep it in the handbag and swing the handbag if you needed protection, the only use the truncheon would be for is breaking windows.’ The men were given much longer and more suitable truncheons.